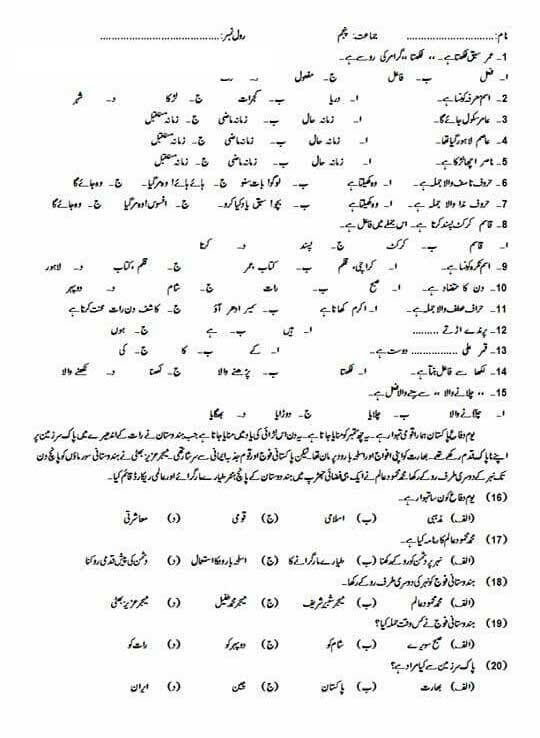 Students are you still need of 5th class urdu guess Paper, although it is very easy subject. Most of students easily pass out and obtain good marks as well. But if you have another idea like getting good marks not only pass out then good. We understand that students prepare papers and also want to prepare the guess paper. This way they make sure their good marks. So we are ready to help-out you no matter what are the conditions. So guess papers are available here same web page for the Punjab board fifth class students of ursu subject. Last couple of days our team get some queries and comments of teacher as well to upload all subject guess papers.So thanks you all teachers and best of wish for you and your students. 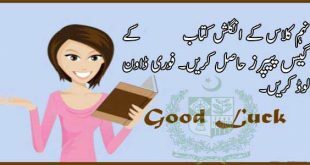 If your students want to get excellent marks in Grade 5 Urdu subject then present the gift for you in shape of guess papers of all classes on ilmkiweb.com. you place now. 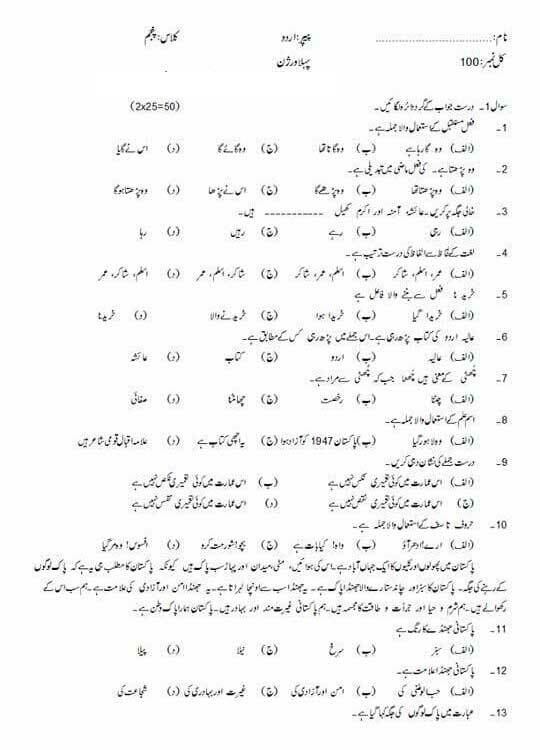 Below caught out important questions which most come every year in class 5th Urdu paper. 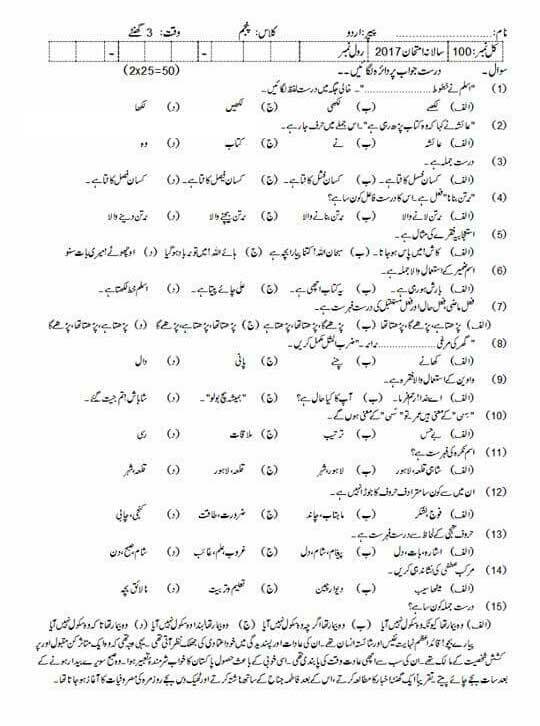 Students from English and Urdu medium school should prepare these question in terms of getting good marks. This is best idea to prepare paper well and smartly for obtaining high marks in 5th Class Urdu paper exam . Please if you like the 5th class urdu guess paper 2019 then please like this post and share with friends and students. Here all the Important Questions & is given below in print format for ease of you dear students.